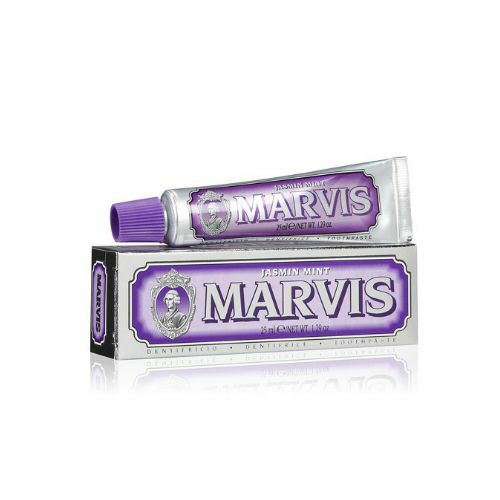 This fluoride-free toothpaste helps to keep your teeth and gums in perfect form. Flavoured with Spearmint Oil, this oral care preparation freshens the breath and leaves the mouth feeling completely cleansed. Apply a pea-sized amount of D R Harris Spearmint Toothpaste to a wet toothbrush and brush. Rinse after use. Always use a soft toothbrush. This will help to protect the gums. This is another brilliant product from D R Harris. Not a bad price considering you can pay more at the supermarkets for the well known brands at least you are getting a top name and looks good in the bathroom. The taste is fresh and minty but not overpowering. Going back to the price it's a 75ml I wouldn't recommend it for all the family it wouldn't last that long. D R Harris could do a bigger size. it smells really good and fresh!